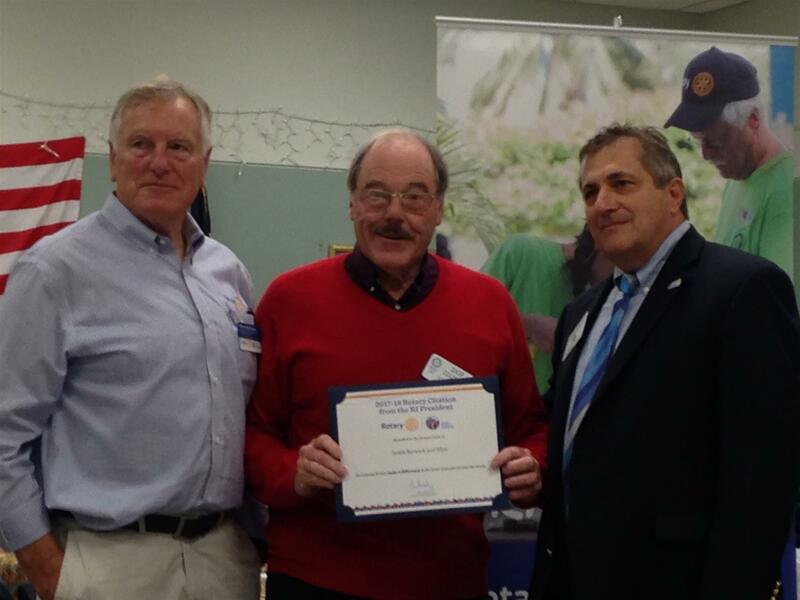 During the presidency of Skip Cousens the South Berwick - Eliot Rotary Club reached new heights in achievement serving the local and global community, and were rewarded with a Presidential Citation from Rotary International. District Governor John LoBosco presented the award to the club when he visited in late September. Congratulations, club members. You all did it!